Great News! 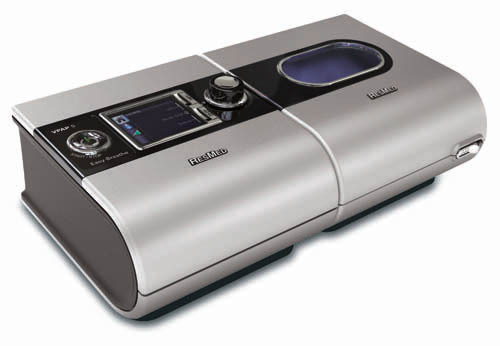 ResMed has released a new Auto CPAP model. The S9 Escape Auto™ combines an intelligent algorithm with Easy-Breathe expiratory pressure relief (EPR™) to adjust pressure dynamically for maximum comfort. Designed for a more natural breathing experience, the S9 Escape Auto delivers whisper-quiet therapy in a smooth waveform. This means a more restful night for both you and your partner. With its sleek contours and compact size, the S9 Escape Auto looks as natural at your bedside as a clock radio.